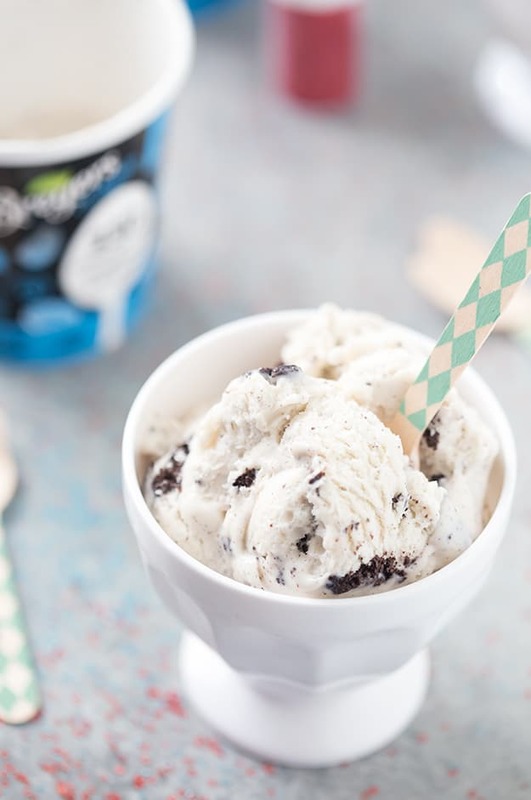 Healthy eating can be so hard to stick with, but it’s incredibly easing to stay on track with my list of healthy snacks to keep you satisfied! With the beginning of the new year, everyone seems to make a list of their new year’s resolutions. Is it going to be to eat healthier? Maybe lose a little weight? Be more adventurous? Whatever your new year’s resolution was this year, it can be a little hard to keep on track to hit your resolution goal. I know for me is it! That’s one of the reasons why I try not to set my resolution on January 1st, but maybe a few weeks after. I end up sticking to my goals better because it doesn’t seem as cliche. Know what I mean? I love snacks and love to snack throughout the day, even at night, and that’s one of the reasons why I always need a few healthy late night snacks on hand or even just a list written down to keep me on track. 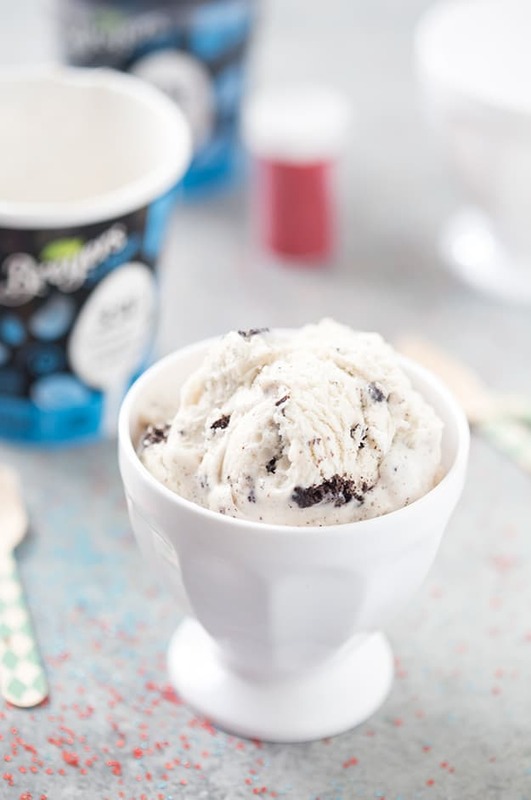 Breyers delights Cookies and Cream – Ice cream that only has 330 calories, count me in! It even tastes decadent because it’s made with fresh cream (yum). I found them at our local Bj’s Warehouse. Dark chocolate, we love, or I should say I love it. I like 85% dark chocolate, so good! Popcorn kernels or even the bag variety. If you are using the kernels, try using coconut oil as your oil. Carrots and celery with hummus. We love this roasted red pepper hummus. There are so many different snacks to keep on hand, but those are some of my favorites when the late night cravings begin. Carrots and celery already washed, chopped and ready to eat. I like to prep these during the weekend because it’s perfect for grab and go. I like to use hummus or even a single-serving container of guacamole that you can get at the store. If you have a microwave, recommend making a batch of my healthy cauliflower bites and bring a serving of ranch or blue cheese to dip them in. They are guiltless and so tasty! 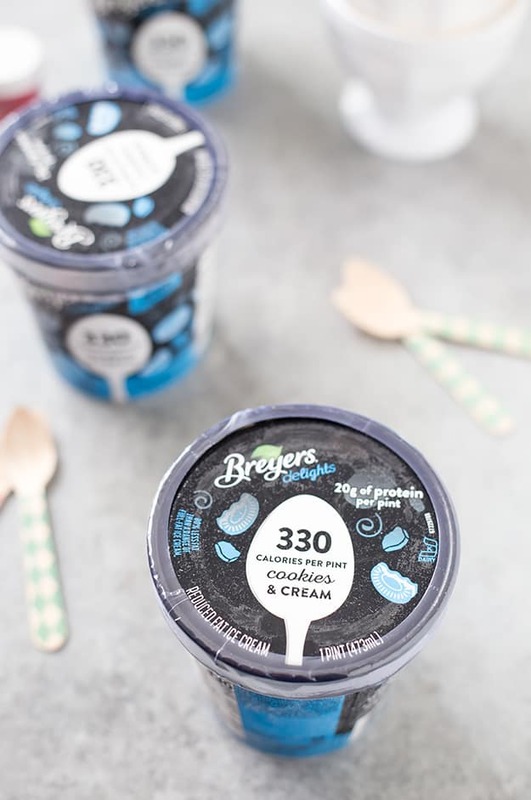 Whether you are at home, at the office, or even at a friend’s, everyone loves a pint of ice cream when it’s only 330 calories!